Heavyweight title contender Kubrat Pulev (27-1, 14 KOs) is coming off a huge win when he knocked out Bogan Dinu at The Hanger in Costa Mesa California. It was the seventh straight win for Pulev since suffering a knockout loss at the hands of former champion Wladimir Klitschko. We should all be discussing how much of a threat he is to WBC title holder Deontay Wilder, unified champion Anthony Joshua and Lineal champion Tyson Fury. Instead he is currently in the news for reasons other than just boxing. Shortly after his victory, Pulev was interviewed by Jennifer Ravalo who is also known as Jenny Sushe. There was nothing out of the ordinary about the interview. The questions Ravalo was asking were very professional. After such a dominant performance by Pulev, Ravalo like many of us wanted to know who could be possibly next. “If Tyson Fury gets through Tom Schartz do you think that you should get a shot?” Asked Ravalo. Pulev’s reply was a simple one. With the kind of performance he just had, the thought of a Fury vs Pulev matchup is a tantalizing one. That thought however is the furthest thing from everyones mind at the moment. Shortly after stating that he would be interested in a showdown with Fury, Pulev grabbed the face of Ravalo, leaned in close and gave her a huge kiss on the lips. Pulev was all smiles afterwards. He even chuckled as he walked off. Ravalo was cheerful as well. She had a huge smile on her face but you could tell that she was uncomfortable with what just happened. When taking a closer look at the kiss, as soon as Pulev releases her she immediately backed away and seemed completely caught off guard. Ravalo would later reveal that after the interview she walked over to a table to put her items away in her bag to get ready to leave. It was at that moment that she says Pulev came up to her from behind and squeezed her backside. He then walked away without saying anything and laughed. Determined to not let Pulev’s unprofessional behavior ruin her work experience she attended an after party with the thought of interviewing more fighters while there. 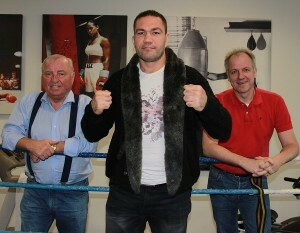 Pulev also attended the party. Ravalo stated that he acted as though nothing happened. When the party was finishing up Pulev approached Ravalo and asked if she could delete the footage of what he had done. Ravalo isn’t taking this situation lightly as she has hired known women’s right attorney Gloria Allred. To make matters even worse Pulev was told that he would not be licensed to fight in the state of California until he appeared in front of the California State Athletic Commission. Boxing however should be the least of his concerns at the moment. What turned into a night that should have resulted in Pulev being praised for his exploits in the ring has turned into a condemnation of what he has done outside of it.